Resolution's program is designed for special-needs and at-risk children four years old and older. As our schedule allows, we also offer riding sessions to the siblings of these children. Adult riders are also welcome. Please note that because of the significant demand for sessions, we are limited to two children per family. How do I schedule my children for a session? All sessions are reserved in advance. To schedule a session, please call our office at 928-460-3714. Sessions are normally 45 minutes long, depending on the rider's age and ability. We're open for riding Monday through Friday. (We do not ride on major holidays.) The first session each day starts at 9:00 a.m.; the last starts at 4:00 p.m. During the hottest summer months, we start earlier in the morning and take siestas in the afternoon. Will the children always ride during a session? Not always. If the child does not want to ride or the session leader feels it is best not to ride, there are a number of other activities the child may participate in (e.g. games or help with grooming). Will the children receive formal riding lessons? Our riding lessons support Resolution's mission to provide fellowship, comfort, and support for the horses and the children. 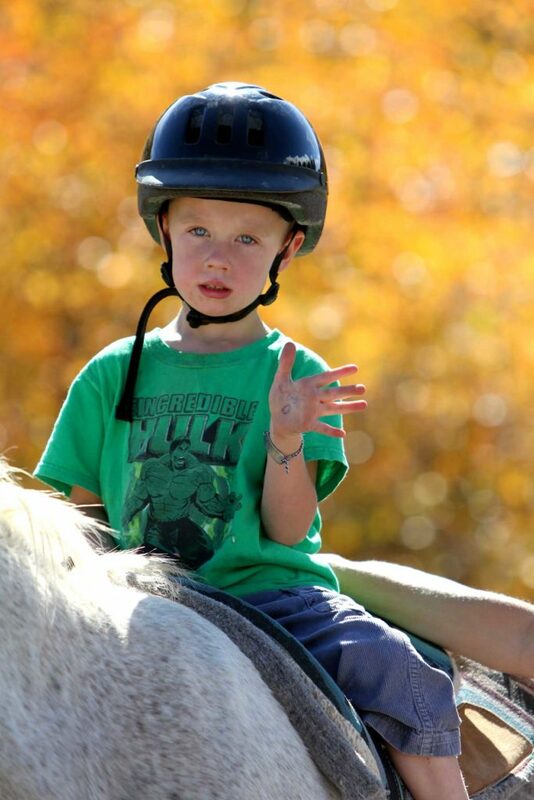 The lessons are designed to teach the children to become safe, understanding, and respectful riders. The lessons are not designed to develop superior technical riding skills--we recommend traditional riding lessons with a trainer for this. How often can my child ride? We recommend one 45-minute session per week, so the children will build familiarity with the horses and the riding. Please understand that because of our small size, demand for sessions is frequently great. If we have a period with few reservations or a large number of cancellations, we will be able to schedule additional sessions. What if we cannot make it to a session due to a last-minute conflict? If you cannot attend a scheduled session, please call our office as soon as possible so we can offer it to a child on the waiting list. Please note that families who do not to attend their scheduled session and fail to call will be asked to leave the program after the second such occurrence.